If FIAT made a 'modern' version, like they have with the 500, it would cause interest..
Alan are you still at Briarhill? First race of the season - Classic Alfa Challenge on Silverstone National. Next up - Silverstone International with Fishy Dave and CSCC 4th May. but you have clearly been a forum member for many years so all you need to do is to create your ad according to the excellent template described in the Selling Rules and if it's fine the Mods will accept it - shouldn't take long! Many thanks for the feedback. Yes, I had hoped to go to MITCAR but the weather looked so bad I didn’t fancy the drive up from Southampton…I didn’t mention I try to avoid using the car in the rain …we have boats down here for going out in water! I’d done a little bit of research looking around on various sites, I was thinking it was more like an offers around £5.5K car. There’s a CAT D car at £3K on eBay and pretty much nothing under 4.5K. Piston Heads has quite a few LE/Plus models the cheapest being nearly £8K. Are LE/Plus models really worth that much more? Thanks also for pointing out the restriction on selling, it was only when I’d re read the instructions, that I realised that it wasn’t just being a member for 3 months that got you permission. So, looks like I may have left it too late to post an ad on the forum any time soon. Sorry to hear of your circumstances Jono. You would of course need seller's permission which you've no doubt read all about in the appropriate section, complete with contact details and more photographic detail. If the mechanicals have been attended to then a low-mileage example such as yours, garaged for long periods, minimum seat wear and u/v light degradation is theoretically tempting and could be worth around 3k - however if corrosion has had a chance to take a hold in the suspect places, viz. boot/wheelarch seams, rear 3/4 panels behind the pininfarina badges, rear arches and rear sills then the price may become more negotiable depending on the extent of decay. Other factors such as floor pan integrity, lacquer peel and general working order of parts ditto. Sift through the various examples for sale on here and on external outlets such as Pistonheads and Ebay (others are available) and try to gauge your asking price - if it's too high you'll soon know! Last estimate on here was 4k but that was some time ago. If you advertise on here your post will go into a "holding area" until it's approved - this is not personal but an evolution of protection measures for buyers who have been subject to legacy dishonesty in the For Sale section. 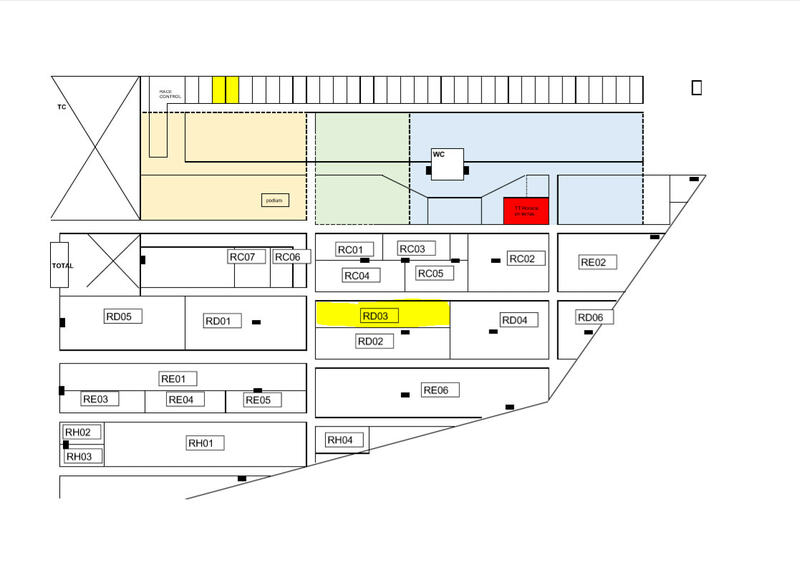 The paddock line up for Viva Italia has arrived , the RD03 is our spot it's marked in yellow . I think Fiat has always been a 'marmite' brand and the coop even more so thus there will always fans and detractors, the former will be inclined to pay for them and therefore a market of sorts. Better indicator may the coupes produced before the 175, older good condition ones command good prices particularly the Dino, the rarity value will no doubt put prices up, eventually! Whether any of us live long enough to see it is another matter. What worries me is the effect of legislation which will put the price of ownership up incrementally and may ban us altogether eventually. A bereavement and downsize means that my car fleet needs downsizing to one. Unfortunately, that means my Sprint Blue 20VT is soon to be up for sale. How do you value such a car, the prices seem to vary wildly? I’ve owned the car since September 2000 – Purchased second hand from main dealer Alan Gibson in Basingstoke with 22k Miles. Whilst in my ownership the car has always been garaged. From 2008 – 2017 the car was SORN’d and parked in the garage. (I needed a family car and the BMW dealership made an insulting trade in offer. The 2004 BMW is now scrap and the Fiat is still alive so that’s 1- 0 to Coupe!). In 2017 the car was recommissioned with over 3K’s worth of work, most of that parts! The engine was removed, all the belts, oil seals, water pump and clutch were replaced. As were the radiator, condenser, aircon pump, tyres, battery and a whole heap of other parts. Apart from a Strut Brace (An original Sparco) the car is entirely standard, but remarkably spritely given its age. Overall it's not a show car, but is completely genuine and original. Having looked round other Coupe’s in various workshops, this car is very solid underneath. and all the usual suspect points, are in really good condition for a car that’s 22 years old. All the keys including the Red Service key and the Immobiliser siren keys are present. The car also has the original Clarion tape unit, along with the stereo remote and front panel case. There’s a whole heap of history with the car including the original sales invoice, service history and Fiat sales brochures from the late 1990’s. I’ll try to post some pictures after the Easter weekend, but any suggestions appreciated! The Coupe offers 'good value' distinctive (Marmite) performance motoring but given the age of them now the tin worm and paint issues (boot seam, front arches, peeling roof etc), the outlay for the car is the smaller amount of ££'s. To get a decent keeper requires a fairly hefty outlay of ££'s to treat/rectify any corrosion/paint issues coupled with possible cam belt/clutch/turbo costs, it starts to appear a little unattractive to many for just a 'Fiat', unless there is an enthusiast and a mint example with documented rectification it would put me off starting ownership of a 'new one' from scratch again; ok for a Chrono I would . There is just not the mass love and appreciation for the Coupe and a fair few possible pitfalls with the usual scaremongering thrown in. Ultimately many buy classic cars as an 'investment' or for a return on the purchase through appreciation; the current market for the Coupe does not clearly provide that for the many. Having "invested" shed loads in our own cars, buying another is harder, as invariably you would have to do it all over again and you don't really know what you are buying afresh?!? Thus I suspect a good few of us have "keepers" and therefore not in the market for another? Still space for "new" converts though! I might be tempted by a mint Plus though or a Vinci Grey! It could be a laugh. A track session, followed by a drive to a local pub or something to share tales of "hitting the apex," "getting the back end out", "brake fade" and "god I need a new engine" and the like. June onwards is better for me. Hi Toby - Hope all is well with you. I'd be happy to tag along if the date is free in my diary. Please pm me with any definitive updates. I think the answer is no, but, can a coupe door fit inside a coupe? Even if passenger seat is removed? That said, if I chose a modern equivalent, (if there is one?) then I would expect to lose somewhere between £3-5k pa in depreciation? Although not really an equivalent my A5 Coupé has depreciated in line with your assessment! I bought it second hand and the fellow before me lost £27k off list, so about £22k if he got a good deal! I were to trade the car now I would have lost close to a further £4k a year and probably closer to £3k private sale. If only I had bought a new Focus RS instead Too many people forget about the depreciation factor when they enter their PCP plans on new cars but it's there! However Coupé owners have, in the most part, left it far behind as the values have stabilised and even begun to show signs of recovery. A Coupé is never going to make anyone rich but it should be possible to own, run and restore one for less than what many people in more modern sports Coupés are loosing in depreciation alone!